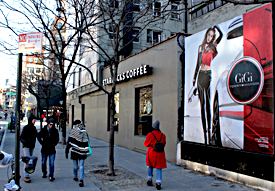 Our large format inventory provides unique opportunities to advertise on some of the most iconic bulletins and wallscapes in the most sought after neighborhoods of New York, San Francisco, Chicago, Los Angeles and Boston. Our windowscape format brings a large-format feel to a street-level medium. 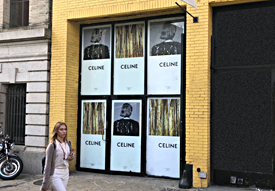 With prime retail frontage in some of the most high traffic areas of Manhattan, these displays are unmissable and provide unique ways for advertisers to make a memorable impression on their target audience. Enabling clients​ to connect with an audience on ​a face-to-face level in highly desirable and hard to reach areas in a cost effective way. 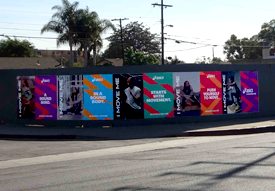 Providing a dynamic, larger than life, street level media that delivers visual dominance in an ever changing urban environment. The Power and Value of OOH Advertising! Agencies and media buyers are always looking for more efficient, and effective ways to reach their target audience. City Outdoor can show you precisely how to utilize just a fraction of your advertising dollars to achieve your critical media objectives. Our innovative and inventive programs can add enormous power, effectiveness and value to your advertising mix. 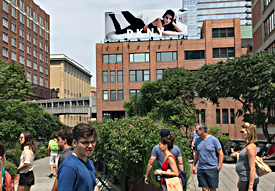 With prime locations strategically located in urban, high traffic, hip & trendy neighborhoods throughout the U.S., our media products can extend the reach of your advertising campaign by increasing awareness of your brand. Our Bulletins/Wallscapes, Street Level Bulletins, Barricades, and Digital Displays have proven to be perfect complements to mainstays like broadcast and print.